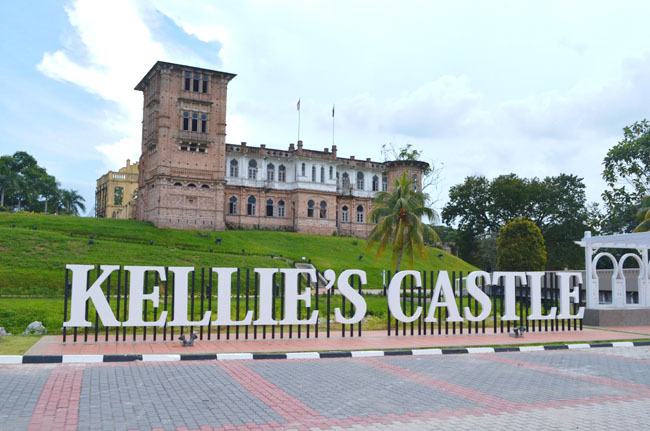 Kellie Castle was huge to be considered as a mansion during the time it was built. It was a symbol of richness, a sign of power, a home to an European family and, of course, joy of a father to his son, and love of a husband to his wife. Today, the mansion in Batu Gajah again brought us back to the British Colonial Era, where the European plantation owners gathered for afternoon tea, or sat around the dining table for beer and laughs. 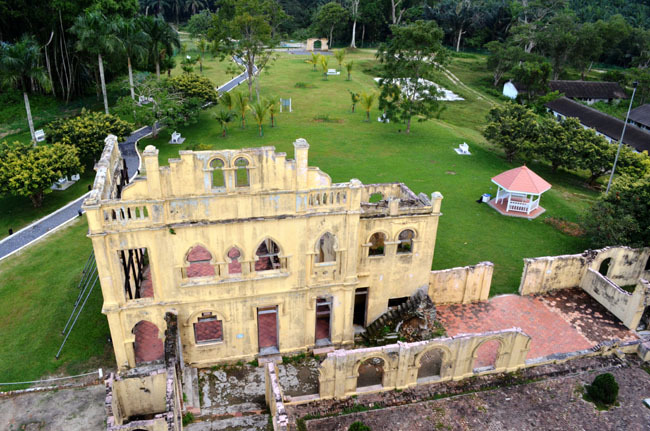 The mansion was built by William Kellie Smith, a Scottish who found his fortune through his investment in rubber plantation and tin mining in Malaya. It was late 1890s. He was in fact doing the right thing, on the right time, at the right place. His fortune grew like a rolling snowball. He went back to Scotland to marry Agnes, and had been blessed with a son and a daughter. 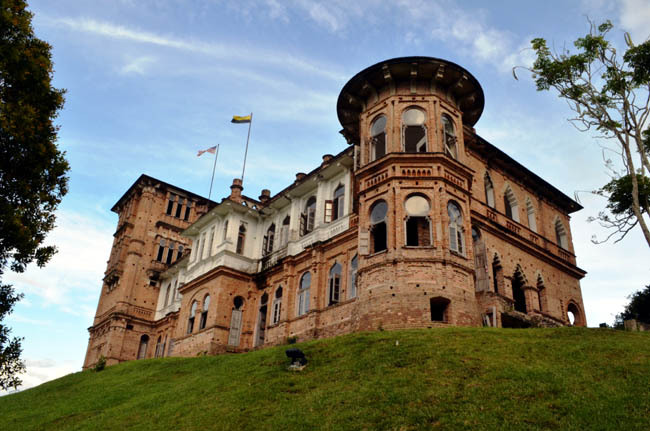 He started the construction of Kellie's Castle in 1915. Dubbed by London Financier Newspaper 1911 as the most unique building in far east, the mansion was destined to be an uncompleted masterpiece, followed by the death of his master. 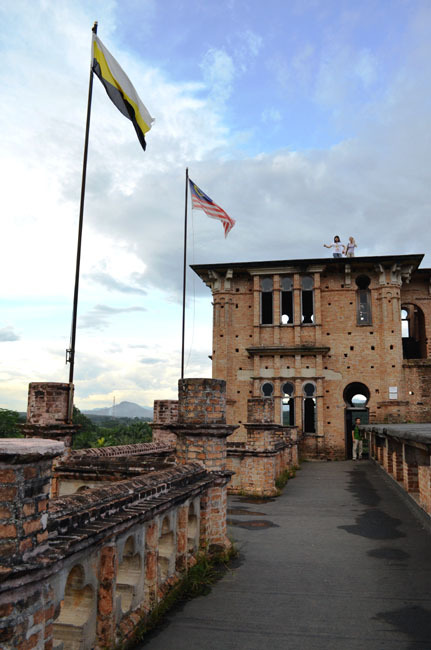 Kellie's Castle from the entrance.This prominent structure can be clearly seen from Gopeng Road that connects Gopeng to Batu Gajah. 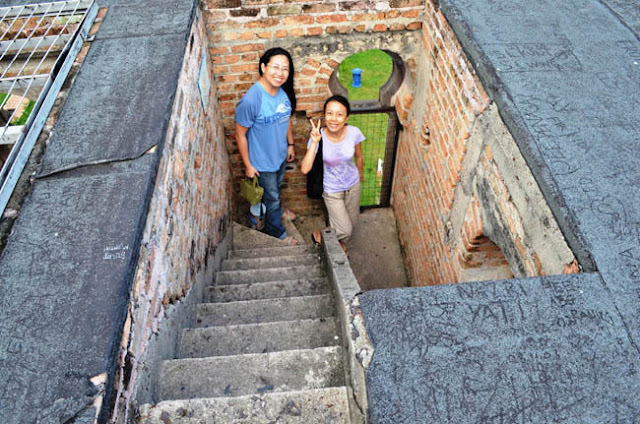 The uncompleted mansion designed with 14 rooms, a four-storey tower, flat roof top that overlooking the beautiful surrounding, and a lift shaft, which is believed to be the first elevator designed in Malaya. However, the building never reach its completion, and the elevator, left uninstalled. 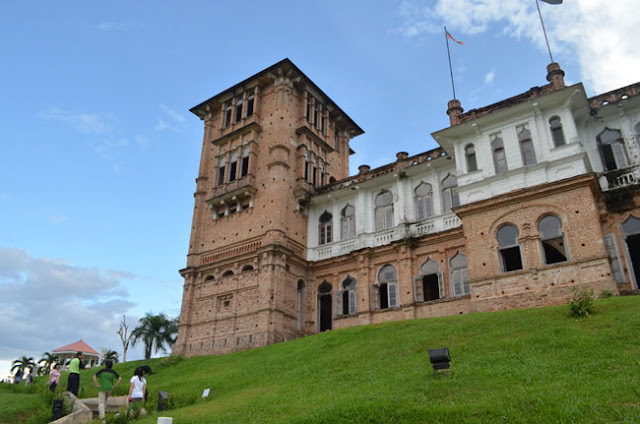 Kellie's Castle located in Batu Gajah, in between Ipoh and Gopeng. The entrance fee for adult was RM5, with RM1 discount for MyCard holder, RM3 for student (need to show the student card), and free for children below 6 years old. The operation time is from 9 am - 6 pm. We took about 30 minutes to reach the castle from Kampar and reached Kellie's Castle at around 4:15 pm. We stayed for more than one hour, not because of the size of the mansion, but the picturesque surrounding. 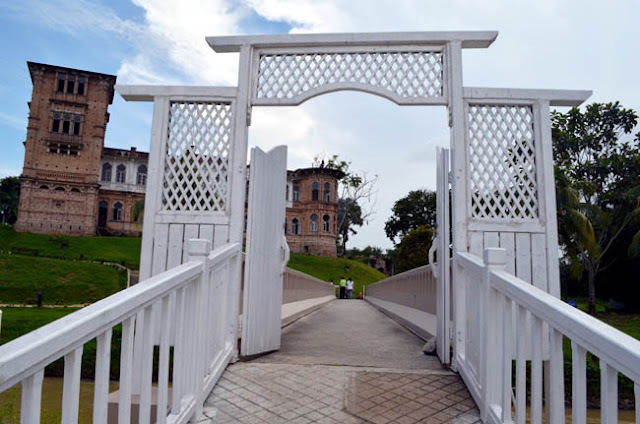 The white door leads to the bridge that connects ticketing counter to the mansion at the other side of the river. A lone mansion on the hill. We wonder if this mansion was completed by Kellie, would it still attractive? Or the flaw of uncompleted building is the attraction? There are two routes to the mansion. We took the left one. Corridor on ground floor of the mansion.The far side of the corridor leads to the staircase to upper levels. The wine store room which can be accessed from the ground floor (upper left). The arches are common design which can be found through the building (lower left). 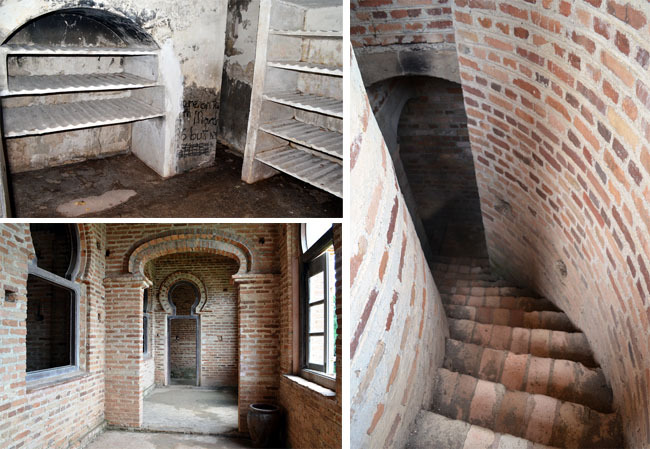 A hidden staircase that leads to the underground level that Kellie's family can hide in case of emergency. A view from the hidden underground room. 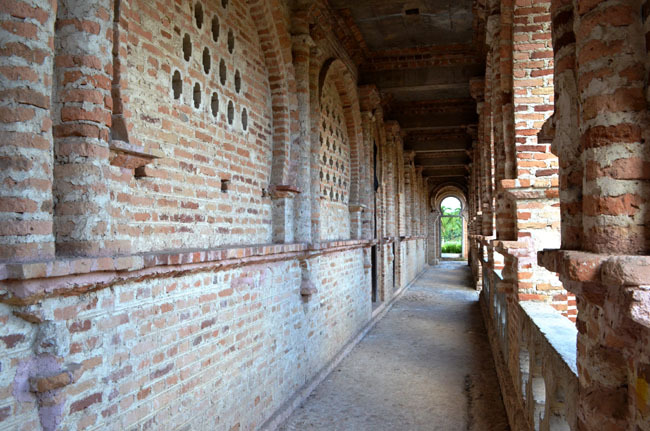 Corridor on the first floor of the mansion. Narrow staircase that leads to the rooftop of the mansion. This is how the rooftop looks like. You can go even higher if height is not a problem to you. This is how the old Kellas House looks like from the rooftop of the mansion. Kellas House was the house that Kellie and his family used to stay in. The surrounding area of Kellie's Castle was well landscaped. 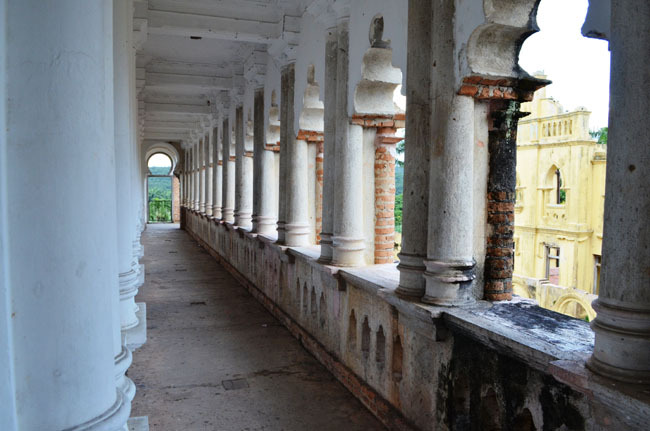 The entrance to Kellie's Castle from the highest rooftop. This is what we saw when we look east from the rooftop. Back to the ground floor, we roamed around the area and took a close look on the damaged structure, which used to be the worker's quarter and kitchen (upper left), Kellas House (upper right), the guard house and the stable (lower left). Kellie's Castle can be clearly seen from the old Kellas House. 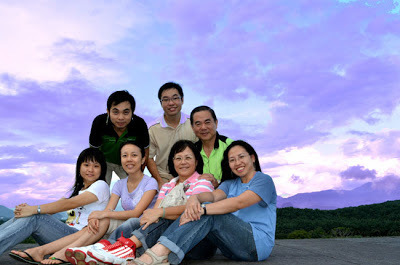 Of course, before we left Kellie's Castle, we took a photo on the highest point of Kellie's Castle with our family members. Then two of us. Smile while enjoying the cool blowing wind. If you ask whether Kellie's Castle is a must visit place in Malaysia? Well, it was a filming site of Anna and the King in 1999. A mysterious tunnel of several hundred meters was found. The ghost of Kellie is believed still haunting the castle. Apart from that, it is just an empty mansion on a silent hill, accompanied by a very old love story of rich and famous. 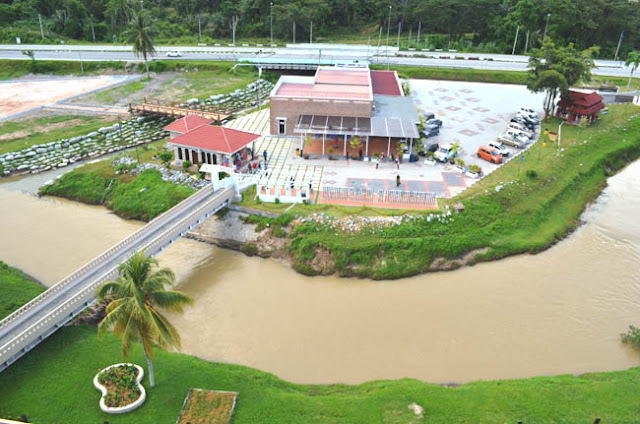 Visit the mansion only if you are visiting somewhere nearby, such as Ipoh, Gopeng, Kampar, Cameron Highlands, or the Last Tin Dredge in Batu Gajah, and make it a stop in your whole itinerary. 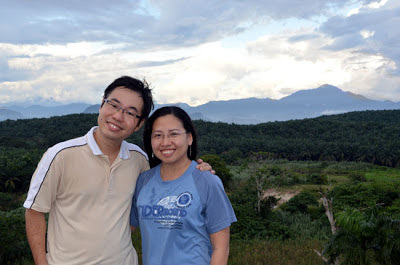 For us, it was just a stop in our 3 days 2 nights Kampar-Ipoh trip. 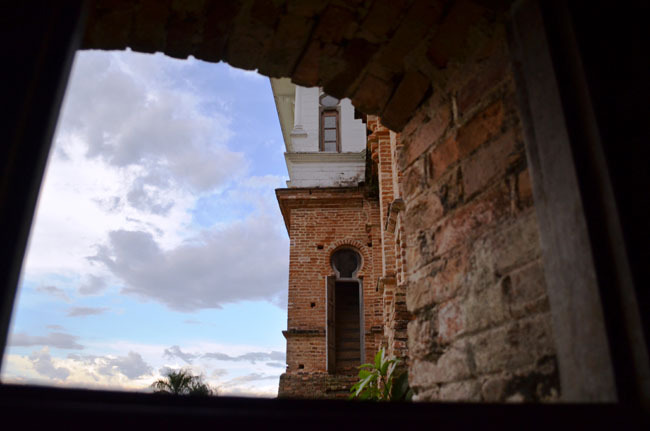 We visited the Kellie's Castle in late afternoon, and found that the lighting was excellent for photographing. It was less hot as well. If you are planning to visit the mansion, please make sure that you bring some drinking water with you, as we found no vendor or hawker around the area. 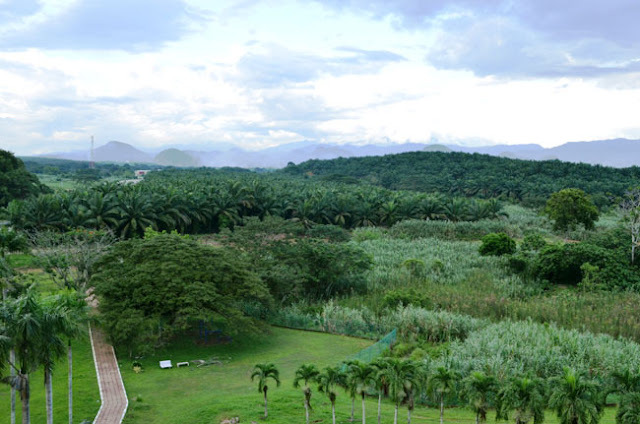 Try your best to reach for the highest rooftop of the mansion to enjoy the beautiful panoramic view. As the rooftop is covered by dark carpet, the area might be hot on sunny day. Not much information that we could acquire on the site. So, please read before your trip. The site might be quite boring for anyone who doesn't know the background of the mansion. We found that these few sites provide good information about the mansion- Perak.info, Explore-ipoh, and malaysia-vacation-guide, and Spooky stories at New Strait Times. 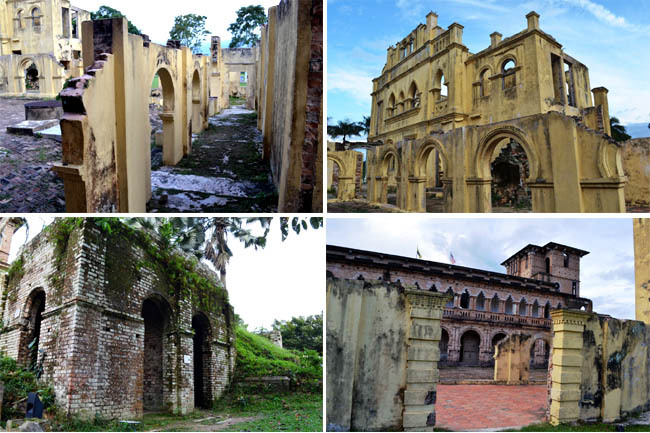 Well, our next sharing, our trip to the Last Tin Dredge in Batu Gajah, 30 minutes away from Kellie's Castle. Our other sharing on Perak are listed below. Nothing much to see in Kellie's Castle, though if you're somewhere in Perak and have an hour or two to spare, there is no harm in exploring the mansion. I've been there twice and both time I was the tour guide to my friends from other states. Somehow, they liked it. Sarawak, a hidden gem of Malaysia. It is a where your journey in Malaysia should start. Read all our reviews on Tripadvisor today. Tripadvisor, the most reliable and comprehensive online travel review. 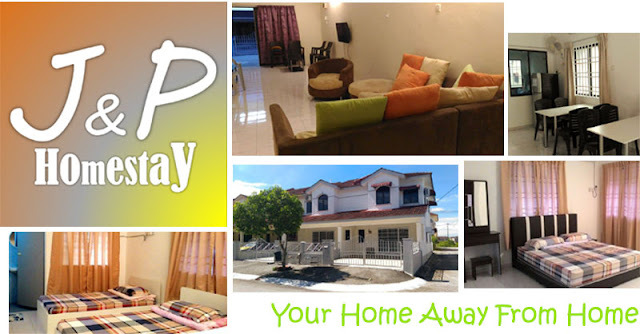 J & P Homestays at Kampar, your home away from home. Please drop your comments and we will get back to you soon. All the Travel Photos and Articles are solely owned by BettyandLingShing. Powered by Blogger.